I have been recently trialing the Anti-Ageing skin care range by Elucent. I have an interest in anything anti-ageing for a number of years now. 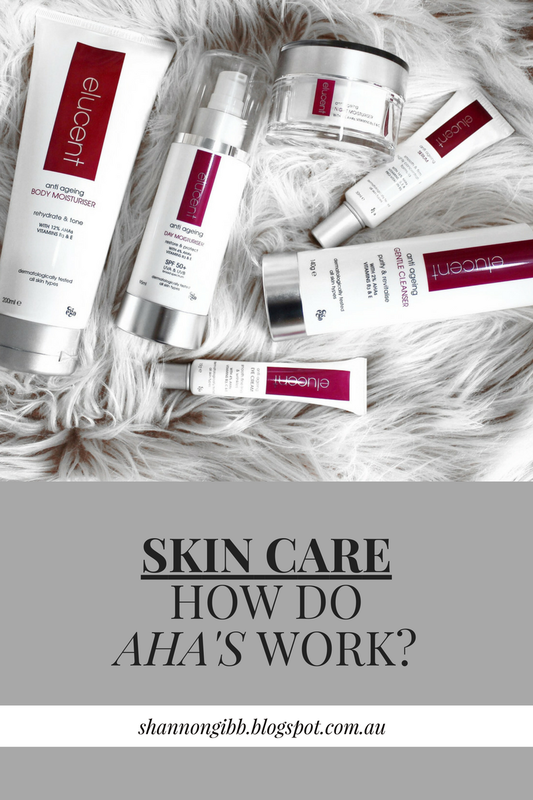 There are so many different products on the market which promise you the world, so I wanted to try make it a little easier for you and explain exactly what AHA's are, how they work and why the Elucent range actually works to improve your skin's appearance. AHA means Alpha Hydroxy Acids, they can be naturally derived from plants and milk. However 99% of those which are used in skincare are actually synthetic. I know a lot of people shudder when you mention you use a certain type of acid on your skin, probably imaging irritated, sore and burnt skin. However these work in a very different and wonderful way. AHA's generally work in three ways, to help moisturize, exfoliate and reduce wrinkles. 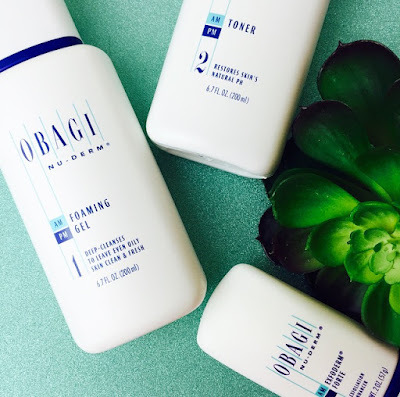 Glycolic Acid – This is one of the most commonly used AHAs in skincare. It has a very low molecular size, which allows it to effectively penetrate skin. The dead skin cells that bind with the skin are removed by glycolic acid by loosening the “glue” that sticks the dead cells with the skin. Shedding dead cells faster also promotes the emergence of new cells. Lactic Acid – It can be found in milk. We know that milk baths have been popular throughout the ages to help achieve beautiful skin. Lactic acid is a good skin moisturiser as it helps retain water in the skin. It is also a good exfoliator of dead skin cells. It can be used in combination with other AHAs in skin care products. In addition to the key ingredients, the range is packed full of vitamins including, E, C & B3 which are amazing for your skin. Like with introducing any new skin care range, it is generally a gradual transition from the old to the new. 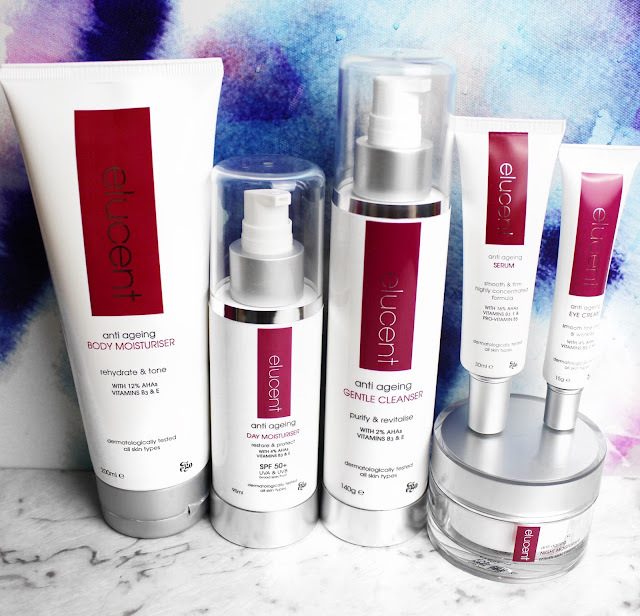 Elucent make it even easier, with a day by day breakdown on what you should be using day & night, to ensure you don't use too much AHA too soon. AHAs may cause mild and temporary tingling to the skin, which is very normal. For those who haven't used AHA products before it is important to begin with the lowest level of AHAs before moving to the higher levels. This cleanser is probably the coolest visually, it is actually an amazing pearlescent shimmery colour. Not that that is important to how it performs (or maybe it is a magical unicorn cleanser) but I thought it was worth noting. The cleanser itself doesn't leave your skin feeling dry and tight. It lathers really well onto the skin and leaves it feeling clean. I really like the feel of this moisturiser on my face, it is very hydrating and sinks into the skin very nicely. My make up has been applying very smoothly over this moisturiser. I don't experience any tingling sensations which this level of AHA. I have really enjoyed the consistency of this moisturiser, it has that thick luxurious feel. It still didn't take too long to absorb into my face, although slightly longer than the day cream which was to be expected. I find I do get slight tingling when applying, but this quickly disappears within a few minutes of applying. The formula also contains B3, C & E Vitamins to help hydrate and replenish the skins moisture balance whilst sleeping. I definitely notice a difference in the morning after having applied this moisturiser the night before. This is one product I should definitely use more, but to be honest, I can be a little slack which body moisturisers. I should actually take this to work as this is where I generally remember to apply. I am excited to see how this works on my shoulders, as this is one other place I occasionally will get blemishes. It is a light & non-greasy moisturiser, so I have no issue applying and then getting dressed. I like the packaging of this product, with a small nozzle type tip. The cream itself its more like a gel, which was absorbed into the skin very easily. It also contains the beauties like Vitamin B3, C & E. I felt very mild tingling but this went away within seconds. This product has the highest concentration of AHA in the entire range. I definitely notice a nice tingle when I apply this product, again it doesn't irritate or cause me any pain. The serum itself is a clean runny liquid which absorbs into the skin very quickly. Be careful not to apply too much of this and a little does go a long way. Remember with AHA's you want to ease your skin into them. Below is the two week recommended transition from the Elucent website. I have found the entire range worked really well on my skin, minus the small purge which occurred around day 5-7 after I started using the products. I am definitely seeing a brighter, smoother and more refined looking complexion. I am feeling that extra boost of confidence with my make up free days. You can purchase these products from Chemist Warehouse or MyChemist. I'll have to look for the serum next time I go shopping :) Great review! 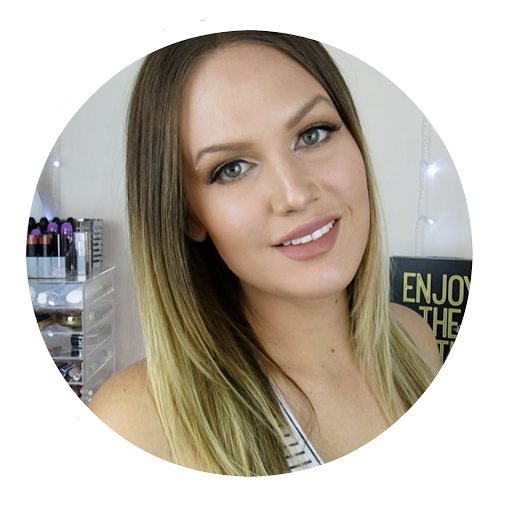 I've tried the whitening range and it was so good! I need to check this range out, I love AHAs! You actually make it seem so easy with your presentation but I find this topic to be really something which I think I would never understand. It seems too complicated and extremely broad for me. I’m looking forward to your next post, I will try to get the hang of it!